"Illegal Aliens Have More Rights Than IRS Taxpayers"
"If illegal aliens can break our laws and get rewarded for it, if illegal aliens have more rights than the taxpayers that pay the billions of dollars to support illegal immigration, then there is no law and we become a de facto lawless nation without borders and without sovereignty." For over eleven years we have been writing a weekly column pointing out the injustices inflicted upon Americans and the American taxpayer by government and special interests. But no injustice is more egregious than allowing foreign nationals to invade our country by the millions where they get to profit from the invasion, rather than being put in jail or deported as they would be in any other country. No other sovereign nation on earth allows illegal immigration to exist on such an enormous scale, as does the United States of America. What is even more unfathomable is why this injustice doesn't fester in the hearts and minds of the American people to the point where they put an immediate halt to it, or fire those in government who are responsible. What does it take for the American people to rise up against this injustice in full force and fury, as they should? Some might say we just did fire those responsible in the 2016 election by electing Donald Trump president, but most of the electorate is oblivious to the fact that their are forces in the "dark state" that are doing everything in their power to encourage illegal immigration, at the expense of the lawful American taxpayer. That is proven by the fact that none of the magnets drawing illegal aliens to come to America in the first place, have been eliminated. Besides employers employing illegal aliens by the hundreds of thousands and the 14th Amendment that makes every foreign national baby born in the U. S. an immediate American citizen, you have attorneys popping up all over the place to defend illegal alien "rights", which in fact do not exist under the Constitution. On top of that you have a sympathetic court system that falls all over themselves to molly coddle to the immigrant lobby and the illegal alien. And guess who pays for the immigrant attorneys and the courts? You do! How could government possibly know how many illegal aliens are in America when so many are not apprehended at the border and live in the shadows? How do you count a shadow? The government can't even properly manage or keep track of the hundreds of thousands of foreign nationals that overstay their visas. Then there is the crime perpetrated by illegal aliens. Just about everyone knows of San Francisco's Kate Stienle who was gunned down by an illegal alien criminal. That criminal illegal alien had been deported five times and returned to San Francisco, a sanctuary city. The Stienle event has been reported on every major news outlet, leading to proposed legislation called Kate's Law, which the Democrats blocked. But very few Americans know the scope of crime committed by illegal aliens. In the State of Texas alone, as reported in the Texas Department of Public Safety: "According to DHS status indicators, over 217,000 criminal aliens have been booked into local Texas jails between June 1, 2011 and March 31, 2017. During their criminal careers, these criminal aliens were charged with more than 579,000 criminal offenses. Those arrests include 1,179 homicide charges; 68,900 assault charges; 16,854 burglary charges; 68,999 drug charges; 699 kidnapping charges; 40,818 theft charges; 45,104 obstructing police charges; 3,813 robbery charges; 6,190 sexual assault charges; and 8,693 weapons charges. Of the total criminal aliens arrested in that timeframe, over 144,000 or 66% were identified by DHS status as being in the US illegally at the time of their last arrest." In each one of these crimes in Texas there is a Texas victim or victims that you never hear about, whose lives have been altered forever by the criminal actions of an illegal alien. Many of the convicted criminal illegal aliens are now in our jails and the American taxpayer gets to pay for their incarceration as well. And this is just one state. Good Lord, are you beginning to get the picture? Are you angry yet? If not, why not? If all this wasn't bad enough, over three hundred cities, towns, counties and states provide sanctuary to illegal aliens, including criminals, while thumbing their collective noses at federal immigration law. Illegal aliens get a free pass while those that foot the bill are hounded into bankruptcy or jail by a Gestapo-clone federal agency known as the IRS that gives no quarter to the American taxpayer, even when the IRS is wrong and the IRS is wrong a good portion of the time. We can attest to the IRS being wrong most of the time in our case. In the six separate battles we have had with the IRS over the last 14 years, we have prevailed five of those times because the IRS was wrong. The IRS is also wrong on the battle we have yet to win, but in the end we will still win because the IRS stole over $10,000 from us, acting under the color of law and we have sound legal arguments to back up our case. Unfortunately, it could take two or more years before the IRS ever responds to our claim for a refund. But IRS incompetence against us gets worse. A few weeks ago we received a demand from the IRS that we owed over $12,000 for Calendar-Year 2015. At first we were angry but upon further inspection the demand notice was for a person who lives in California, not us. The notice contained the name, address and social security number of the person in California. If we were dishonest we could have used that information for unlawful purposes. This IRS Agent violated 26 USC Section 6103 for releasing confidential taxpayer information to an unauthorized third party. Such a violation of Section 6103 is a felony and is punishable by a fine up to $5,000 and imprisonment of not more than five (5) years, or both. 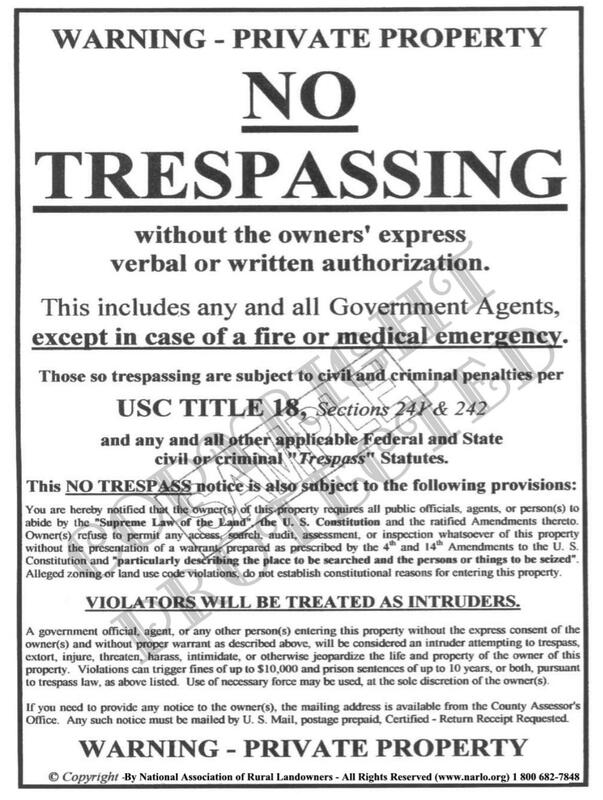 (26 USC Section 7213) We so informed the agent and her superior in a curt letter. What do you think will happen to the agent? Nothing! If you did it, you'd be in jail. But all these battles have cost us a great deal of time and money to fight and have wrought their own emotional toll that comes from David having to fight Goliath. Which Pro Bono or government-paid attorney came to our rescue with the IRS, as they have come to the rescue for illegal aliens? Which court took up our cause as the courts take up the illegal alien cause? Not one. We were forced to fight alone, at our cost, as most taxpayers are forced to do. So the American taxpayer gets to pay for the illegal alien's rent, education, medical care, the crimes they commit and their time in jail, but the taxpayer also gets to pay for the attorney's fees and court costs to defend the rights of illegal aliens who should have no rights at all if common sense and the law prevailed. Why the Hell aren't Americans mad as Hell? Has cowardice infected the gene pool? If you refuse to fight these injustices by government, you will never win and will become an indentured servant, or slave, to whatever government demands of you. Unfortunately, most Americans just roll over to the power and authority of the IRS, thus giving into an out-of-control, rogue government agency that has no compunction against terrorizing the American taxpayer, while illegal aliens are shown the red carpet. Most Americans just put their head in the sand when it comes to illegal aliens and just roll their eyes when we mention the horrendous cost. What does it take to get Americans mad enough to jump into action and fight these injustices? Because of our personal experience in fighting the IRS and our many years of experience fighting other government agencies in general, we created our "GETTING EVEN WITH GOVERNMENT" package. This vital information is designed to defend your rights, or hold government at bay, or confuse the Hell out of them, or delay their proceedings, or stop them in their tracts, all without hiring an attorney whose allegiance and loyalty are to the very people you are fighting against, government and the courts. Would you hire a fox to guard your hen house, of course not? But that is what Americans do when they hire an attorney to defend them against the IRS in Tax Court, U. S. District Court, or the U. S. Court of Claims. Fighting government in court or otherwise can be very expensive. In an audit of one of our businesses several years ago, the IRS said we owed $15,000. We wanted to dispute the tax because of some procedural and tax code issues. However, upon calling an attorney to take on the IRS in court, we were informed by the attorney that it could take way more than $15,000 to fight them and we could lose. So we paid the $15,000 to the IRS under protest, for all the good that did. What all this boils down to is, that uneducated peasants, criminals and terrorists from Mexico, Central America, South America, the Middle East and wherever that come here illegally, or overstay their visas "Have More Rights Than the American Taxpayer.” You might wonder how this upside down situation was allowed to happen in America, the land of the free ..... handout! But the answer is crystal clear. We the people allowed it to happen because we listened to and elected Democrat Socialists to lead us! Perhaps President Trump can fix it but it may already be too late.